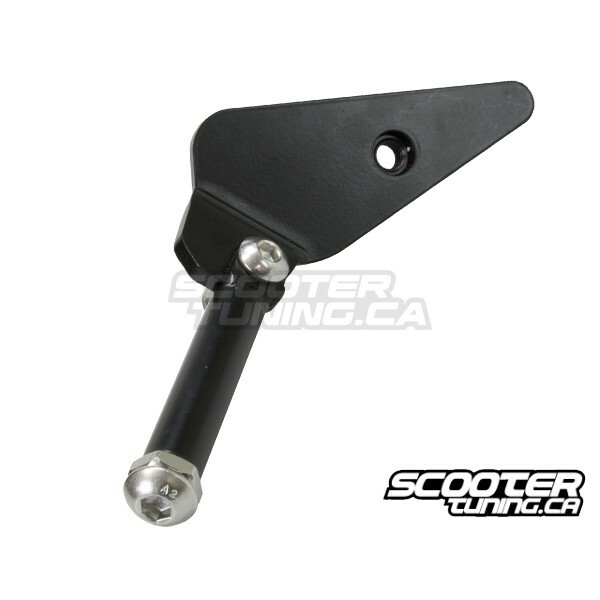 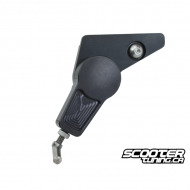 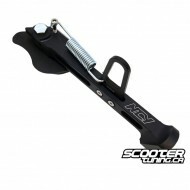 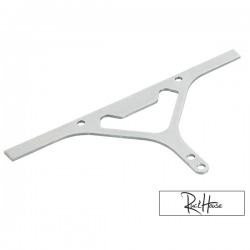 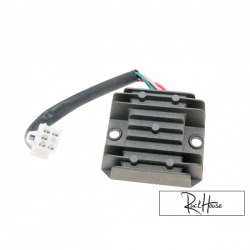 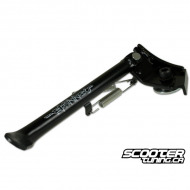 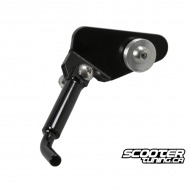 This kickstand has an internal spring and ball bearing set up with adjustable leg. 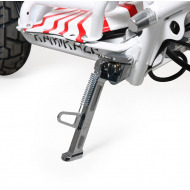 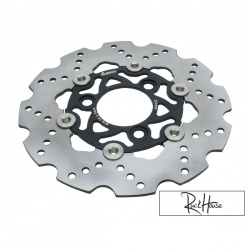 The spring is held in by a set screw which allows you to adjust tension, grease and rebuild if needed. 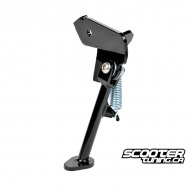 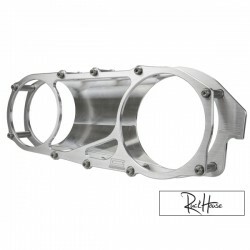 All the hardware is stainless steel and and the kickstand itself is powder coated black.